Home aadhar card Documents eaadhar card status online Eligibility UIDAI What is aadhar card and eaadhar card How to Download it ? What is aadhar card and eaadhar card How to Download it ? 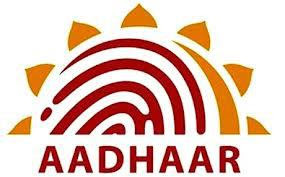 The mostly valuable AADHAR CARD is the scheme which is started by government of INDIA with the efforts by the Unique Identification Authority of India that is UIDAI. So now come to the point what is aadhar card? So the basically the aadhar card contains a unique identification number which is issued from UIDAI (Unique Identification Authority of India) to the Indians with the goals of establishing a distinct unique identification for aadhar card holders. What is Eaadhar/e aadhar card? As we know now days we can download each and every thing from internet as the same now you can download your unique aadhar card from the online internet, so that in case of your card has stolen or you forget somewhere in that emergency case you can use it for your future preference, it’s called eAadhar card. Basics things you must know about your aadhar/eaadhar card? The aadhar card number basically of twelve (12) digit, and it would be unique for everybody while enrolling or applying for the UIDAI issued card. This unique card meant for any individual in INDIA, any adult as well as children can apply for aadhar card but the aadhar code would be different for each family member. The individuals who are applying for eAadhar card have to submit their demographic details and the biometric information while applying these information securely stored or saved in the centralized aadhar database. Remember the aadhar card number has lifetime validity there is no expiration date for it because this is your unique number and it is available completely free of charge. 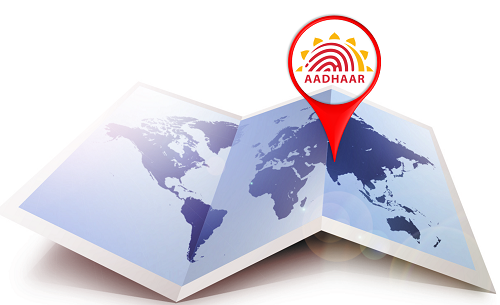 What Eligibility criteria to obtain your Aadhar card? The aadhar card would be available to all Indians residents and even for NRI or the foreign nationals residing in the Indian country. The Indians residents, irrespective of age, are permitted to avail the eAadhar card. In the case of children’s who has not crossed 3 years of age they will not be needed to provide their biometric details in such cases of children their ID card will be going to linked with that child’s guardian or parent. Children within 5 to 15 years are required to provide their biometric details which have to renew as the child grows up over 15 years of age. Documents which is required or submitted to apply or enroll for eAadhar Card? How to apply for EAadhar/aadhar Card? To apply for the aadhar card, directly you have to visit the local aadhar enrollment camp which is authorized by UIDAI with the required documents for address, picture and identity proof. Must read the following points for your aadhar card application process. At firstly carry your ID & address proof documents (both original & Xeroxed, attested by gazette officer that is true copy) with the Aadhar enrollment application to the local Aadhar enrollment camp. As you reach there, your documents would be checked & verified. The operator or enroller would insert your document details and you would be asked to validate the entered data. The applicant would be asked to go through fingerprint & iris scanning. A photograph of the Aadhar applicant would be captured by the camp operators by using webcam. Then, the enroller or operator would sign with his/her fingerprint. The Aadhar applicant would be handed a print out of acknowledgement slip stating enrolment code & other details. Later on, your Aadhar application details would be verified and your Aadhar card with the unique Aadhar code would sent to your stated address within 60-90 days of the application. However, the process might take longer in certain cases. The blog contains all the information related e aadhar card, help peoples to find the aadhar card online, print card online, how to apply for aadhar card all the issues and solution for getting the aadhar card. You will all get updated related your aadhar updates.